Calvin Oosse is the Managing Director of Business IT Solutions at Sidley Austin. In this role, he is responsible for the strategic planning for, and delivery of, all of the Firm’s legal-specific and business operations systems (Accounting, Marketing, Human Resources, and Knowledge Management). He is also responsible for the technology innovation roadmap for the Firm. In addition to his work at Sidley Austin, Calvin is the Founder, President & CEO of TriPoints Consulting LLC, http://www.tripointsconsulting.com, a global technology consultancy focused primarily on the design and delivery of mobile, web, and cloud-based solutions to a wide range of clients, from Fortune 500’s to small nonprofits. 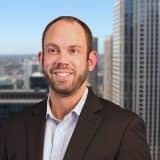 Prior to Sidley Austin and TriPoints Consulting, Calvin has worked in several of the world’s leading consulting firms, including Andersen, IBM, McKinsey & Company, and Deloitte. At Deloitte, he was one of the original members of the global Technology Innovation Group, focused on both hardware and software based technology innovation. He has also been featured as a speaker at McKinsey & Company, IBM, and Deloitte conferences, as well as being a guest lecturer on technology innovation at various public universities.